Spring has sprung in the Great Smoky Mountains! 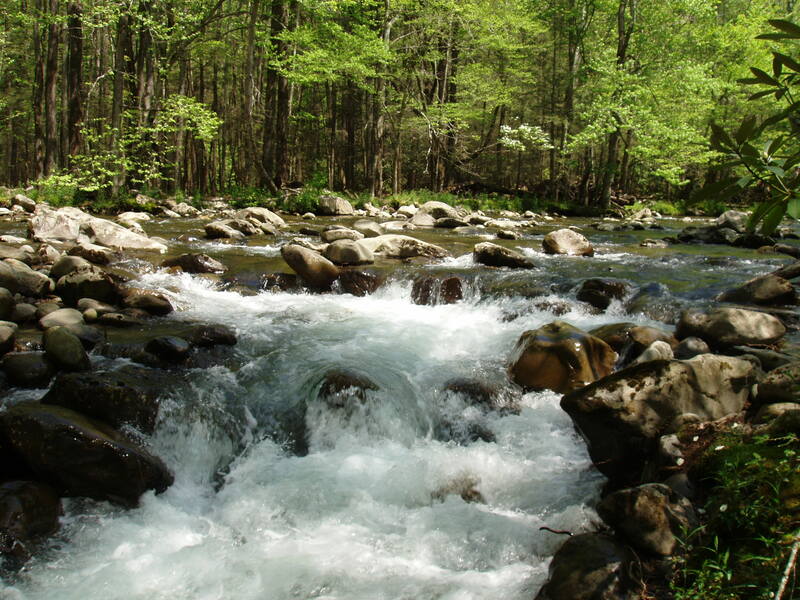 With the spring rains filling the rushing river and the flora starting to come alive, now is the time to come experience what the Great Smoky Mountain National Park is all about. The rain has lent a hand in shaping our areas most beautiful waterfalls. In fact, here in the park we can get so much rainfall that it’s nearly equal to that of a temperate rain forest! While the water is still gushing, come see the numerous waterfalls in our area! If you’re not ready to brave the elements just yet, we have a few waterfalls you can drive right up to. These include The Sinks, Meigs Falls, and Place of a Thousand Drips. If you’re not afraid of getting out there, then stop by our personal favorites. Some of the shorter trails include Laurel Falls, Indian Creek Falls, and Grotto Falls. If you’re ready to make a day of it, check out Rainbow Falls or Ramsey Cascades. Don’t forget to prepare with hiking essentials before you go! If you need some tips check out one of our other blog posts here. With the rain feeding the river, the river is feeding the Park. It’s still early in the season but the blooming has begun! The spring ephemerals that are popping up now won’t be here long, they die off around the end of April, so you’ll have to hurry if you want to catch them! The most prominent in this area would be the trillium, of which we have 10 different species. Several types of orchids, fire pink, bleeding heart, and violets are a few other the other prominent ephemerals also. The Red Maple’s flowers will be a brilliant red along with the bright white of the Dogwood trees. We’re kicking off the season with our 66th Annual Wildflower Pilgrimage starting April 19 and going through April 23, 2016. These five days are full of over 150 guided walks, instructional workshops, and demonstrations. Sign up here if you would like to attend this years Pilgrimage. We do recommend either downloading the wildflower checklist or purchasing a wildflower book for the area.